Why Does My RV Smell like Sewer (Or Rotten Eggs)? Has the smell of a sewer or rotten eggs been wafting throughout your RV? Is it making your life miserable and causing you to wonder what might be causing this awful smell? Well, you’ve come to the right place because I’m going to help you figure out what’s causing that smell and how to get rid of it. Your RV’s house batteries getting overcharged. Below, we’ll discuss these causes in more detail to ensure this smell becomes something of the past. And if you think the issue is severe enough, we’ll even help you find a professional that’ll help you take care of it. After all, we want to make sure your RV trips are as pleasant as possible! 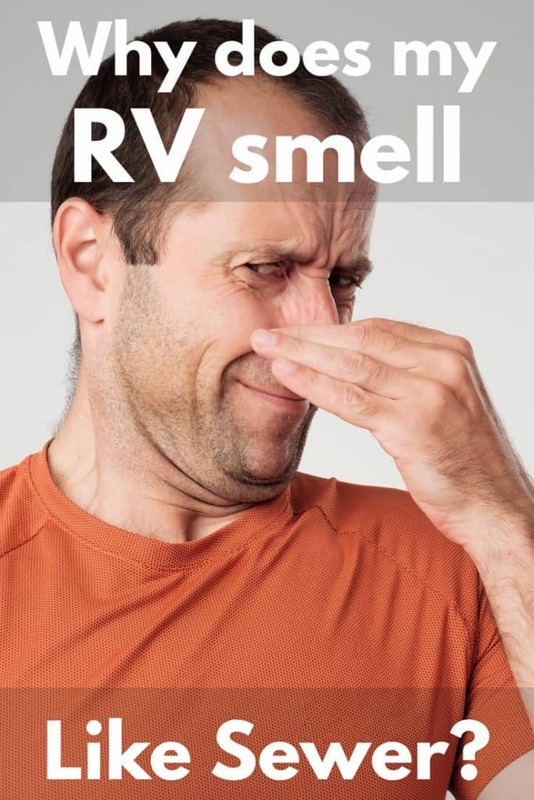 As mentioned above, there are a couple of reasons why this smell has infected your RV. And the key is figuring which one is causing the issue in your particular case. 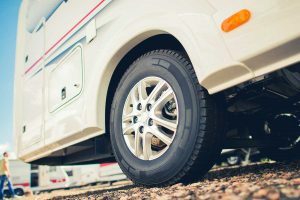 With this in mind, it’s essential we discuss each potential cause extensively; so, you’ll able to evaluate which specific issue is the one ruining your RV trip. If this smell has invaded your life, the first thing you should check is your dump valves. See, if you leave your tank valves open, you creating a direct path from the sewer to your RV. As a result, you run the risk of the smell from the RV’s park sewer system entering your RV. Therefore, you must make sure both your gray and black tank valves are closed. In doing so, you’ll close off the place where that awful smell is coming from and preventing it from entering your RV. Additionally, it’s also essential you correctly deposit the tanks as well. See, if you don’t, a lot of the bad smelling human deposits could stick to the back of your black water tank. I know, that sounds incredibly gross, right? Well, the smell it emits undoubtedly fits that description. With this in mind, it’s essential you dump and flush the tanks when they reach ½ to ¾ full. By doing so, you’re getting rid of the chance this awful rotten egg smell enters your RV. After you dump them, you must then close the valves and pour about two to three gallons of water into them. This fresh water will make sure that the water will dilute future waste. Therefore, reducing the risk of this issue in the future. In some RVs, there’s an admittance valve under the sink rather than having a roof vent over the sink. The problem is sometimes these admittance values tend to malfunction and emit a horrible smell. See, when you’re draining water, these admittance valves work by allowing air into the pipe. This action allows the water to flow freely into the holding tank. However, where the issue comes is that when the water is done draining the value’s supposed to close tightly. But sometimes, as mentioned above, these values malfunction by not sealing correctly. In doing so, it lets the odors from the decaying waste particles waft through and causes an awful rotten egg smell. If this issue is the cause for you, you’ll notice the smell is centralized to the around your sink. And the solution for this is relatively simple; you need to replace your admittance value. Honestly, the replacement process isn’t that difficult. In most cases, the new value will simply just screw onto the pipe. In fact, all you’ll need for this job is some slip joint pillars to unscrew the malfunctioning valve. Then, add some plumping tape onto the threads of the new valve and tightly screw it into place. Ironically, our third potential cause, overcharged RV house batteries, actually has nothing to do with the sewer. Instead, the smell emits from the house batteries becoming overcharged, which causes the electrolytes to boil. 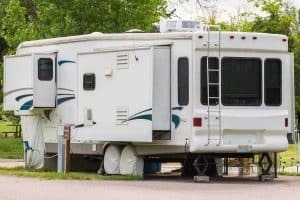 As a result, a rotten egg or sewer smell will start to waft through your RV. And there’s nothing pleasant about experiencing this smelly nightmare. If you believe this issue’s causing the smell in your rig, the first thing you need to do is check the electrolyte level in your house batteries. Then, you should top them off with distilled water. If the house batteries are full and still boiling, you need to get your RV’s house battery system checked out by a professional. In the end, this issue isn’t something you should mess around with, so please, get it checked by an RV technician. 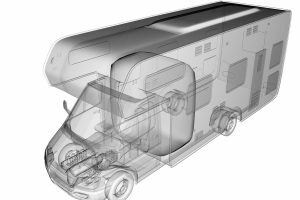 Where Can I Find an RV Technician? If it does turn out that your RV’s house batteries are the issue, you’ll need a contact an RV technician. And you’re probably asking yourself how exactly do I get into contact with one of these professionals? Well, the easiest way is by taking your RV to an established RV repair shop. However, you must realize not all these repair shops employ certified RV technicians. I know, it’s tempting to think these businesses are on the up and up, but sometimes they simply aren’t. With this in mind, it’s essential you find an established repair shop. To do this, I recommend using this site, as I found it to be an incredible resource for my own RVing issues. See, this site limits the results, so, it only includes RV dealers with master technicians on hand. Therefore, if you end up hiring one of them to check out your house battery system, you’ll know you’re getting a top-notch professional. And these days finding these master technicians can be quite complicated given the decrease in people pursuing this field. But if you don’t, the results could be disastrous, and your RV could end up being worse off than when you hired them. In the end, it’s essential you use a resource such as the site above; after all, you must ensure the person inspecting your rig knows what they’re doing. And lastly, don’t hesitate to ask about their qualifications before hiring them. Honestly, take every precaution possible as you never know what these repair shops might to pull on you. Get your RV to smell all fresh and nice! Don’t try to mask bad smells with perfumes and air fresheners. Tackle the cause of the problem first, to make sure the air in your RV smells fresh and is healthy to breathe. You now know how to deal with any stench of the sewer. Next, if your RV has that heavy odor associated with dampness, you may need to deal with humidity and condensation problems. We have a guide about how to deal with condensation issues in an RV, so check that our first. Once you’ve eliminated all causes of four odor – and only then – you can try adding some nicer scents too. Here are a few suggestions. You could try this model which – which works just as well in any room in your home as it would in your RV. Air purifiers like this one work their magic by ionizing the air and fighting smoke particles and bacteria. Fragrance bags like these usually help fight increased humidity and condensation too – usually good to have around an RV anyway. Scents are a matter of personal preference so you can really add your own style to your RV by choosing the right fragrance. The options are limitless. You can try spraying the fresh scents of Febreeze Air in select locations. Or maybe leave a classic floral-scented solid Glade like this one in the scent of honeysuckle nectar. Small candle jars are a great way to add a hint of scent without being too overbearing (always a risk in the closed space of an RV!). This set offers clean masculine scents, perfect even for men who live on their own. A world of choices awaits you. But remember to take it easy. If you’re towing your 5th wheel or trailer often, or if your RV is in storage, it may become more difficult to control the amount of scent you’re spreading in that enclosed non-aired space. Go easy and don’t overpower your senses with too much of the good stuff either. Now, that you’re an expert in all sewer smelling causes, it’s time you snuff out that smell once and for all. So, take all the information you’ve learned, and make the inside of your RV a pleasant place to be again. And remember, nothing is embarrassing about calling in someone to fix the issue. I know some of your DIYers will see calling for some help as failing; but it’s not, sometimes these things can be serious issues that require professional hands. However, please make sure they’re a certified technician. You never know what could happen to your RV if you leave it in the hands of someone who’s under qualified. Previous PostWhat is the Average Gas Mileage for an RV? When Should I Replace My Trailer Tires? How to Use RV Stabilizer Jacks?